When academics go to Hollywood! Behind the Scenes of Supernatural with Director Richard Speight Jr.
I’ve known Richard Speight Jr. for a long time – a decade in fact! I loved his portrayal of the Trickster and Gabriel on Supernatural, and I’ve always loved talking to him. About the show, about the cons, about the fandom, about the business – Richard has always had the most fascinating insights. 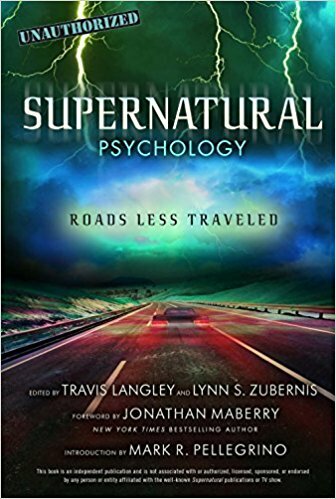 He wrote a chapter for our third book, Fan Phenomena Supernatural, which I love. And it’s always just plain fun to sit down and chat with him, especially as a wonderful way to end a hectic but fun con weekend. Richard talked about wanting to direct early on, so it’s been truly awesome to watch him pursue that dream and be successful thanks to determination, talent and lots of hard work. We don’t get to sit down and chat at the end of cons nearly as often as we used to, but we did in San Francisco. And yes, Richard still has the most fascinating insights – this time all about directing his most recent episode of Supernatural, and the incredible collaboration with cast and crew that has ensured the show’s success. Lynn: War of the Worlds was a huge episode – It seems like (writers) Eugenie Ross-Leming and Brad Buckner often get these episodes where they tie all these plot lines together. Lynn: What is it like directing an episode like that, with three big reveals and so much plot movement? Does it feel as unmanageable as it sort of seems? Richard: Well, it’s interesting, there’s a double whammy. I mean, Eugenie and Brad write phenomenal scripts, I think they’re very smart writers and they’ve been doing it a long time, they’re very experienced writers in the field. Lynn: Which may be why they give them these complicated episodes. Lynn: Well you haven’t been doing this that long! Richard: Exactly, so everything intimidates me. But especially since Bob Singer is a mentor of mine, they’ve been together for a long time doing great work, so that’s intimidating. And the size of the script was huge in terms of what was involved. This was very challenging because every day was chock full and we moved like a freight train, but I felt like the story was in great shape when I got the script. We didn’t have to have a lot of conversations about ‘what about what about what about’. It didn’t need much massaging, it was kinda ready to go, so I could start working right out of the gate on what I thought the show should be from a shooting standpoint. Lynn: That makes a lot of sense yeah. Richard: And so to me it was as daunting as anything else is, but I think the thing that was most daunting were the fight scenes, because I had several. 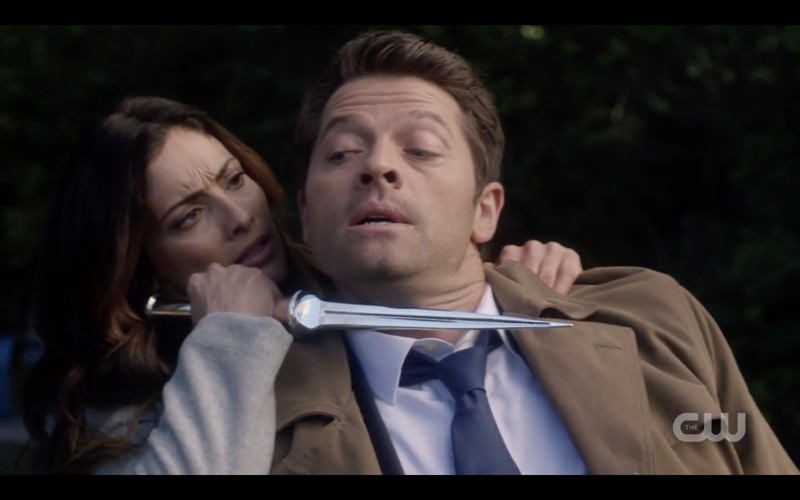 I had Castiel in the park and then I had the big fight scene in the bar, so those are the ones I kinda obsessed about alot – especially when I had the boys being thrown around in the bar, and Asmodeus throwing Lucifer and Castiel around in the bar. So those massive moments take a lot of energy and time and stunt work. Richard: So those were challenging, and kinda weighed heavily on my mind when we were prepping. 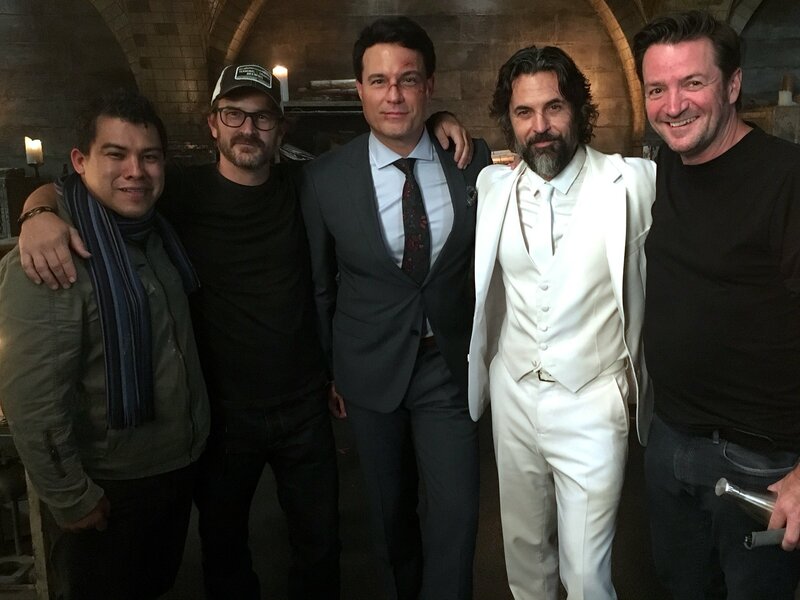 I love Pellegrino as an actor and a person, so it was exciting to work with him – and really dig Osric Chau, and David Haydn-Jones. Lynn: There were so many people who came back in this episode! Richard: So it was all daunting. It’s hard for me to say that one’s more daunting than another. Because of the odd structuring of Stuck In The Middle With You and the multiple perspectives, that one got to me a couple of times, to get my brain around. Lynn: That makes sense, from a director’s standpoint, a different kind of challenge. Richard: Yeah, exactly. So this one was challenging in the enormity of the story lines going on, but my brain could comprehend everything that was going on in terms of the execution of what they were going for on paper, and it was a matter of just making sure it was done right on film. 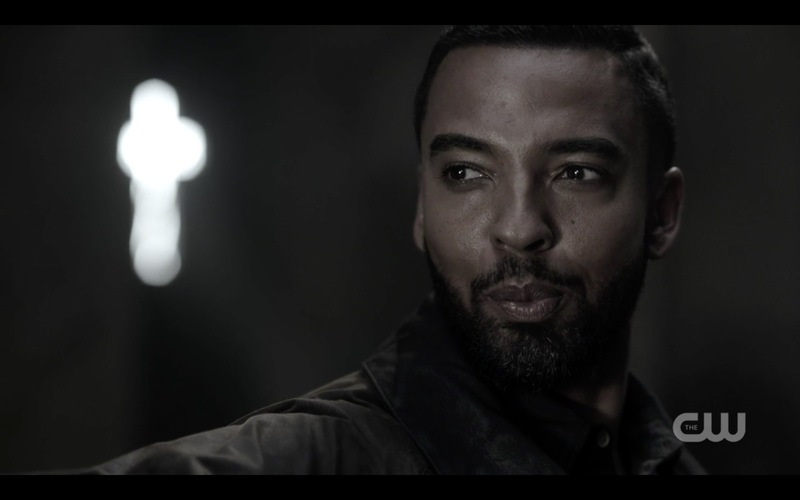 Knowing all the people I was working with – I’ve gotten to a point where I know Pellegrino well, I know Osric Chau well, I know David Haydn-Jones well, so I had no X factors. I had almost nobody to cast. Lynn: I didn’t think of it that way but yes, they were all familiar. So that made it easier, I’m guessing. Richard: It did, because when I did Stuck in the Middle, I had to find my Ramiel. When I did Just My Imagination, I had to find my Sully. So much was dependent on finding those key players. Lynn: Right, they were pivotal in those episodes. And both were awesome! Richard: That was not the case with this one. I had a little bit of casting to do, but for the most part I knew all my heavy hitters and they were already pre-ordained, you know? Richard: So that’s a bit of a relief, it’s one thing you can take off your list. You know those scenes are gonna work from a performance standpoint. 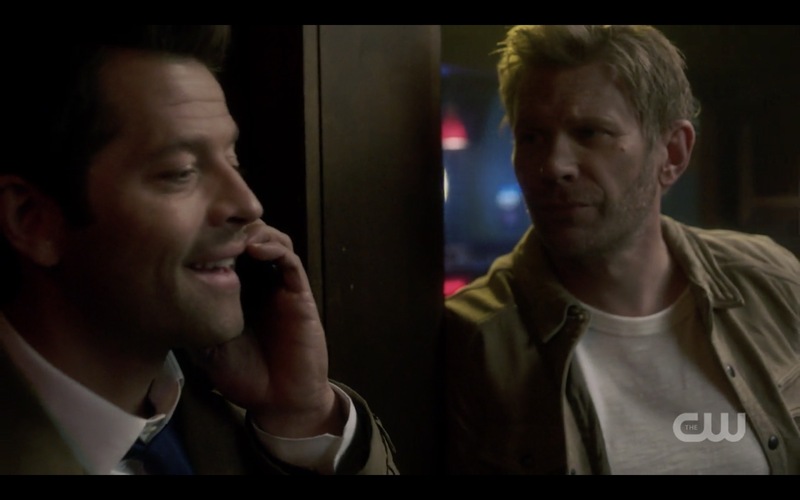 Lynn: So there were two things – well, there were a lot of things that stood out about this episode – but one is that this is the funniest I have ever seen Mark Pellegrino be. The scene where he ends up on a city street looking like a homeless guy and keeps trying to intimidate and zap people, to no avail, was hysterical. I was literally laughing out loud. How was it to direct him in that, and how much of that humor was your directing, how much was his acting, how much was scripted? Richard: Well Mark obviously comes in with his very clear ideas of what he wants this to be, but I had blocked it in a very specific way because I was tying it in with the shot I was doing of Osric being thrown out of frame timed to Mark coming into frame, so I had this very specific design of what the shot was. Richard: And then I wanted it to be a moving Steadicam shot that sort of kept you in the mood, so it all felt very organic. So all of that performance was Mark doing what Mark does, and my blocking aided that. My goal was to block that scene like what you’d see in a movie, like what you’d see Jim Carrey do. Lynn: Yes! That’s how it looked and felt, exactly. Richard: I wanted it to feel like this is the comedy film version of Lucifer returns to Earth, so I did that and then every take or two, after we got the big one done, I said ‘Mark, when they’re gone, instead of standing there wringing your hands, walk back up the street and try to kill the background artists’. Lynn: Oh, that was your idea? That was one of my favorite parts of the whole episode! Richard: And he thought that was a great idea, so we did one take of that, and you can tell the young lady didn’t know he was gonna do it because we didn’t announce it, I said let’s just keep going, I’m not gonna call cut, and you try to zap a few people as you go up the street. Lynn: Maybe that’s why it was so funny, it was completely organic! I have this little game I play with Jensen where I try to guess which moments are unscripted, and that’s my theory, you can tell because they have this extra bit of genuineness to them, they just play slightly differently, so you can tell. And they’re often very funny! Richard: Oh, that’s awesome. Yeah, I loved that beat, I put that in the cut, and I was hoping that Phil and Bob would like it as much as I did. Lynn: I’m so glad they left it in, it was priceless! So the other thing that struck me, which is the complete opposite – it played on Thanksgiving, so I’m at this big family gathering and my son’s girlfriend’s family is all there and they don’t know us very well, so they’re trying to be nice with ‘oh let’s all watch this show that Lynn writes about’, so we put on Supernatural. And there are just repeated scenes of torture, with screaming and wailing and people being cut, and I’m looking around going OMG what do they think of me… What is it like directing those sort of scenes? Richard: Right, and I almost ruined my day of shooting by over-shooting that sequence. Lynn: What does that mean exactly? Richard: It was such a cool set, it was the teaser for the episode, and Serge [Ladouceur] had these lighting flashes going and the light flashing through and so I just shot the hell out of it and I used every angle I got, I used everything. I had a crane for the top, I had a spin move, I had a dolly move outside the room, just because I thought a) it’s Lucifer caged up, b) it’s the teaser, and c) it was just artistically a beautiful space. Lynn: I think I said that in my review, how can something so horrendous be so beautiful at the same time? Richard: Yeah, and again, it was like I just wanted to capitalize on Serge’s gifts as a lighting guru and be sure that we shot it. 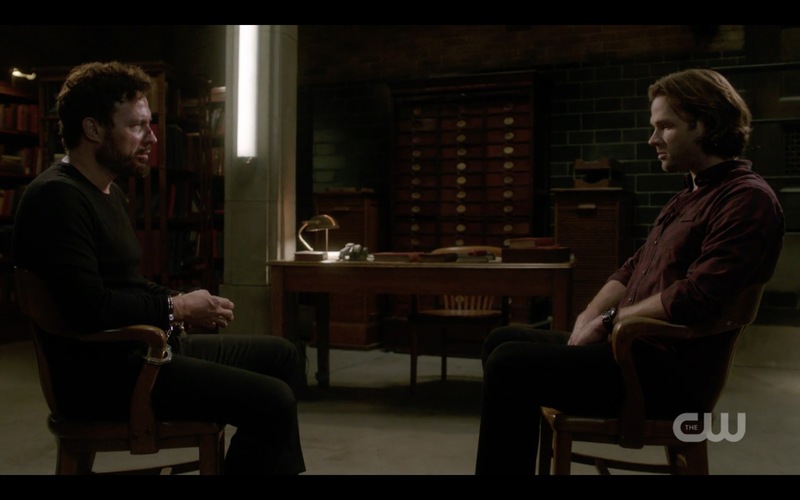 Lynn: You got to do a flashlight scene too. I always love scenes of the boys with flashlights, and I know Serge is really good at it, but that seems like a tough scene to shoot too. It’s such low light, but you get to see just enough. Richard: He’s great at it. Lynn: And the fight scene too, there were a lot of very dark scenes but you still needed to be able to see what’s happening. Richard: And that’s what Serge does well. It had to be abundantly clear that the power had been cut in that room, in that building, so there was no source lighting whatsoever, not from the jukebox, nothing. So that was all Serge coming up with where would the moonlight come in, what’s a light source that works and how can he utilize his lighting and my blocking to make that work well? Lynn: We’re so lucky to have people like Serge. Richard: He’s a genius. 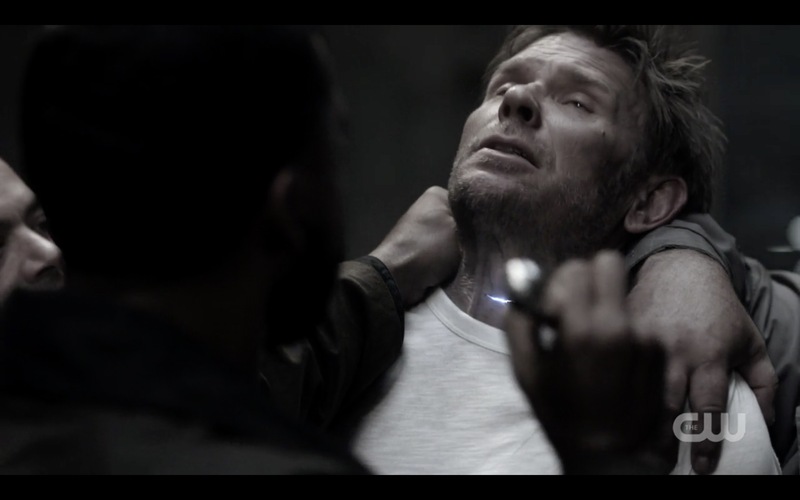 And btw, one thing I wanted to talk about, because you were talking about Pellegrino and being funny in this episode. 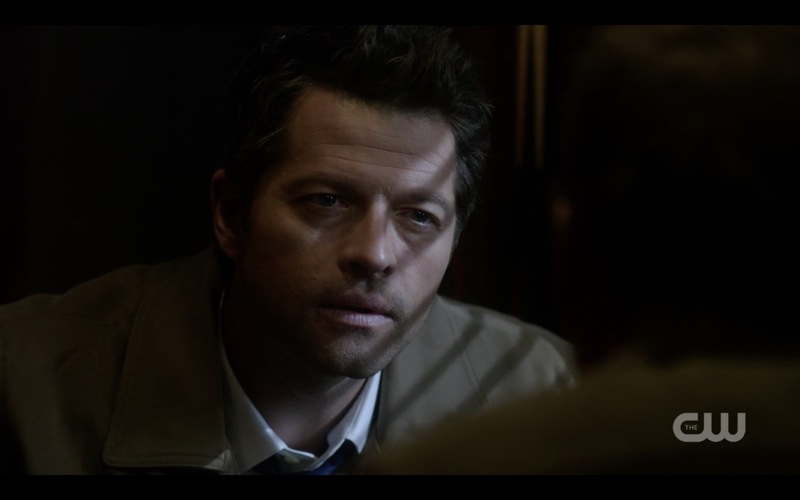 The scenes he had with Misha in the diner, in the bar, to me were some of my favorite scenes. Richard: Yeah, comedy gold! And again, I know those dudes, putting them in the room together, letting them do their thing? I loved what they did. My thing was, when I saw what they were doing in rehearsal, I just put gas on their fire. I said go go go go go, do this, don’t worry about overlapping each other, I’m gonna make the sound department work hard because I want this to feel like the indie film of Supernatural. I want you talking over each other, I want you adding what you want – there are a couple of lines that they just added! Lynn: It all stayed in? Richard: It all stayed in, everything they added. Lynn: That’s awesome. I mean, both Misha and Mark were just incredibly funny, their timing was spot on. Richard: He puts a button on it, and they were just – it felt more like Steve Buscemi and somebody else doing a gangster movie than it did like CW good looking people having a conversation. They just brought a level of honesty to it that made those two characters connect. And they built a real relationship, those guys, that supercedes ‘I wanna kill you-I wanna kill you’ to ‘hey I know we were gonna kill each other, but put a pin in that, we’ve got bigger fish to fry’. Lynn: And it was very believable, and again, Lucifer is a character that you don’t want a redemption arc for real, but in this episode you felt empathy for that character and you were amused by that character, and then you’re like wait, why am I feeling empathy for this character? Richard: Well, I’ll tell you why. Because you don’t wanna — it’s like Lego Batman. Batman isn’t Batman if he doesn’t have the Joker. So if Lucifer is a guy with no powers, he’s not a nemesis, he’s just a guy. So kind of, in a weird sort of way, you don’t want to sucker punch your enemy. You want to kill him at full power, not when his back is turned. Lynn: Right, it would have no impact. Richard: And also his logic was true, it was like ‘look I get it you wanna kill me, kill me later we have a thing we’ve gotta do before we all are toast’. Richard: It was fantastic! Every scene. In the park, where Mark is coughing and sitting down on the bench, the scene where Mark takes Misha’s phone at the bar, it’s all just great. Richard: I just loved watching it, it was like making an indie film. Working with those two guys, it was making an indie film. I didn’t need to overshoot it, they did all the work, I just needed to be sure I captured those bits on film and encouraged them to do more, like keep going down that road, keep overlapping, keep those bits you’re playing, keep the looseness, keep it alive every time. Lynn: That’s what you do as a director, right? You see what’s working and you make that happen. So it seems like when you’re directing, you get a vision of what you want it to look like, and it’s often not like the stereotypical television show. Is that something that comes to you after you read the script? Richard: Yeah, for me, I read the script several times and I’m petrified because I don’t know what I’m gonna do, and then eventually the more I read it, the more it starts to be a movie in my head. Lynn: Yeah, that’s what I meant. Richard: And the more it starts to be a movie in my head, then I know what kind of a show it is. And when it’s a movie in my head, then I just write down the movie in my head. I write my shot list based on the movie I see in my head. Lynn: And then you make it happen. Richard: Yeah, and then I make it happen. And the way I direct, it’s like I always talk about how Rob and I come onstage and we just do things that we find funny and maybe the audience thinks it’s funny and maybe they don’t, but we’re laughing…. Richard: That’s how I direct. Obviously I direct with the level of discipline that I want to get the shots done and get the story told, I want the people back in LA to be really happy with those things and I want the story told correctly and efficiently, but I also see it in a certain way. So I go with my gut on these things, I go with my vision of how this should be. And of course I talk to Andrew Dabb. Lynn: It’s sort of like an instinct you go on, then? Richard: Well, it is, I mean it is instinct but it’s instinct based on being obsessed with visual imagery my entire adult life so that I’ve been a movie addict forever. And Andrew is obviously very adamant about what he wants to see in the Show, Bob Singer is very adamant, very clear about what he wants, Phil Sgriccia is very involved. So it isn’t like I haven’t gotten very clear instruction. Richard: And very clear guidance. I’ll ask them questions and sometimes they say yes and sometimes they say no. And I stick to their answers because they know the show better than I do and always will. But at the same time, I try to trust my instincts when it comes to how to execute some of these scenes, the more I direct. Because I’m seeing something, so that something that I’m seeing, I think is going to work. Lynn: I feel like it seems to be totally working. 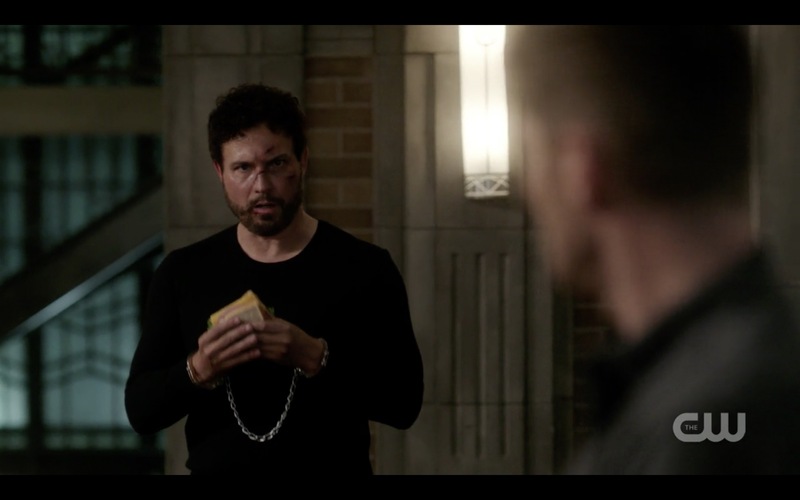 Another moment that was so good that it’s now become a meme, is where Ketch comes in eating the sandwich and it sort of falls out of his mouth. Richard: Oh really, that’s a meme? Oh cool. Lynn: Was any of that ad libbing, or how did the sandwich fall happen? Richard: Eugenie and Brad wrote specifically, ‘he speaks, they turn, he’s eating a sandwich’. They wrote that he’s in the room. To me, what was going to make that scene interesting was how do you shoot it? So I made sure that the reveal was one that I thought was funny, I tried to make that funny. Richard: Because Ketch is not a funny character, that is not a funny moment, there’s no comedy that comes out of that scene, but I felt like for Dean to be really put on his heels, it needed to be an obtusely quirky reveal. Which is why I had Jensen crossing that way, there’s no Ketch, comes back there’s no Ketch, looks forward, there he is. 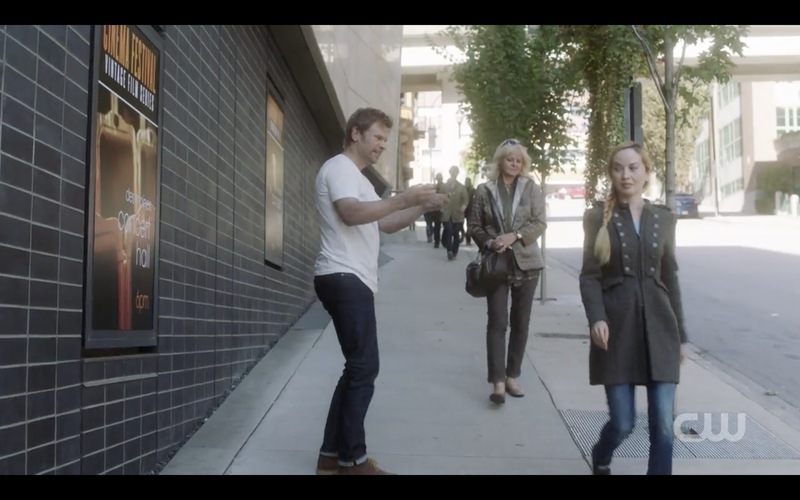 So that he’s just, if you watch that scene in one take – which obviously you don’t because there’s cutaway to Jared – but he walks in, walks back, and there’s Ketch blurry. 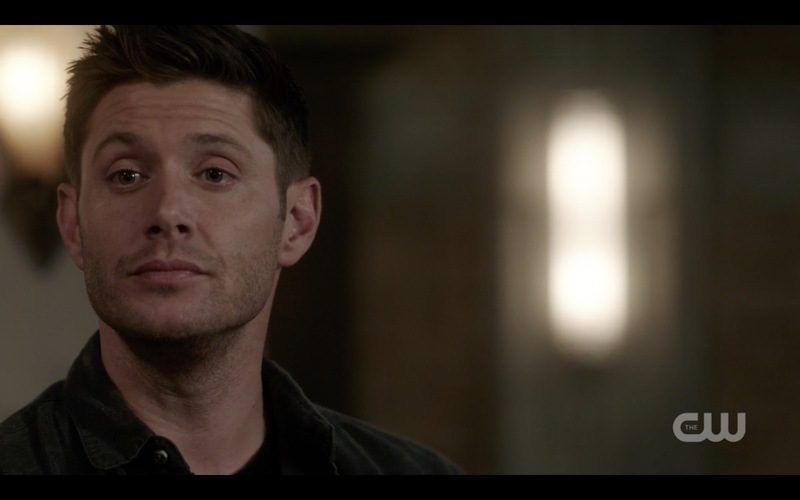 And that’s the other thing, I wanted him out of focus so when Dean turned he’s like What? Lynn: I loved that moment of Dean seeing him and being like WTF, and of course then Jensen played the perfect reaction. Lynn: So you did that multiple times in this episode, it occurs to me. It was an episode that was heavy on villains but in several cases you managed with humor to bring a little bit of vulnerability to them, which of course makes them a million times more interesting. Lynn: And that scene did that a bit with Ketch. Richard: I did, I felt that he was at their mercy. Lynn: Yes, like Lucifer, beaten down and chained up at the time. So you should feel good that’s a meme. Lynn: There was one scene I didn’t quite understand. There’s a scene where Sam goes to talk with Ketch, just the two of them – and it was the scene that made me think oh, that really is Arthur, because as “Alexander” talks about Arthur, he’s very complimentary and that fits Arthur’s narcissism. But when the scene was over, I wasn’t sure what I was supposed to take from it. Richard: We come in in the middle of that scene, he’s already been beaten when we show up to that scene, and it continues through the rest of the scene, and he gives no sign of budging and just sticks to the story which is that he’s Alexander. And I think it’s intriguing – these guys know how to do research online and he’s finding everything that backs up what the guy’s saying. And it’s just enough to plant the seed, the ‘what if’, in Sam’s mind. Lynn: So Sam wasn’t sure? 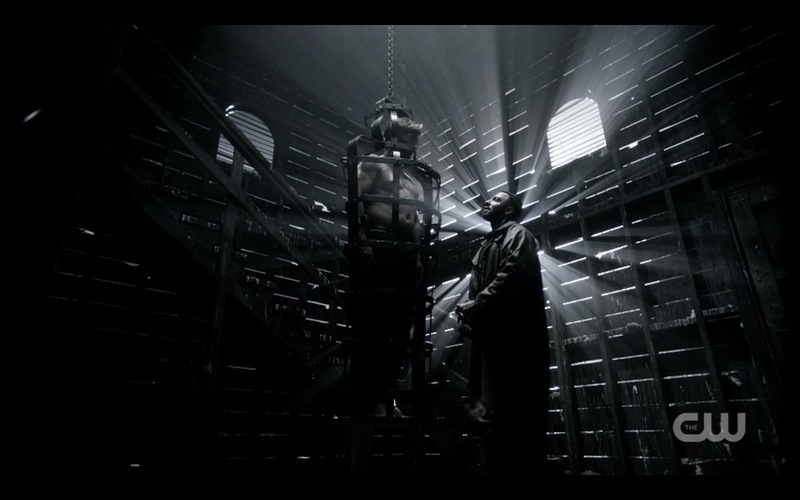 Richard: I think it’s Sam’s version of nice guy interrogation. Lynn: Okay, so that is how I interpreted it too. Richard: Yeah, it’s intelligent chicken. He’s playing chicken, but it’s thinking man’s chicken. Lynn: And I’m gonna assume that Sam came to the same conclusion that I did from what Ketch said. Richard: I don’t think Sam ever thinks – it’s not like Sam leaves and goes to Dean and says this is definitely not Arthur. All he does is display some empathy and let the guy go to the can and the kitchen, which speaks to Sam’s character regardless. Lynn: I said that in my review too, that there was character consistency, which I love because that’s not always the case. Oh, and the FBI phone array, was that something Eugenie and Brad put in there? Lynn: I loved that because it was such a nice call back to Bobby and the early days of the show. You gave it a nice treatment. Oh, I also thought Farrah Aviva did a great job as the witch. Richard: She did a lovely job. Lynn: One person who you didn’t know, I assume. Richard: No, I didn’t know her. She was great, and interestingly, completely by coincidence before I cast her, she ended up being the photographer who shot Briana’s pictures for the Women of Supernatural calendar. In fact, I cast her, then she shot Briana’s pictures, then she came to work, so it all happened at the same time. Lynn: How weird. I thought she was a strong female character who was gutsy and had courage in an episode that was otherwise very male heavy. Richard: Yeah, she did a really nice job. Lynn: One more favorite moment – in the fight scene, it was all crazy and things were happening very quickly, and then there’s a moment when it all slows down and Dean looks over and sees that Sam is about to be stabbed. Lynn: That was another of my favorite moments of the episode, even though it’s a small thing to someone who doesn’t love the show, but it reminds me that these are the characters I love, the characters I know. Because the look on Dean’s face is just OMG OMG. Did you slow that down purposely? Richard: He’s awesome, he’s a freight train, he’s awesome and a really nice guy too. So it’s an intricate ballet, and there’s a lot of fighting in that block, it’s a huge fight. 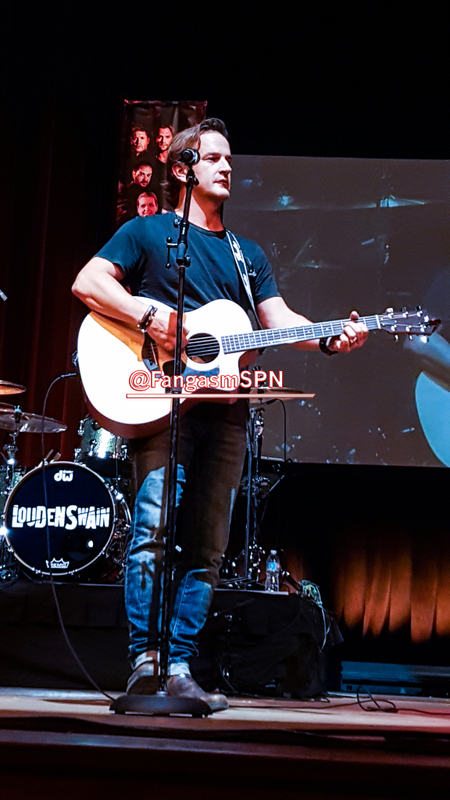 So it’s a combination of the ballet that Rob crafted based on what he and I discussed about what needs to happen with the characters, and Jensen coming in and saying I want to milk this beat a little longer, I want Dean to really clock this longer. Because I can always cut it shorter, I can always take it down. But Jensen was very adamant about giving that enough gravitas, so to me it’s a case of, director working with an actor who’s been playing the same character for 13 years, who knows this beat needs to be this. Richard: Of course he’s right, it’s his guy. Richard: So you go in and say okay, that’s how it will be. So it was designed to be that way, to be compartmentalized like that with Dean seeing Sam in that predicament, and then Jensen just made it adamant that there be enough of a moment that we could play it as long as we need to in order to make sure it resonates. Lynn: And you and the editors let it play, so it really did resonate. It was such an important moment. Richard: Absolutely – I think part of the job of being an actor or a director or anything in this medium is listening. It’s going okay, if you’re an expert in your field, meaning your visual effects guy or your DP or your stunt coordinator, and they say something and they feel strongly about it, you listen to that. If your guy playing the character for 13 years says I think this needs to be a beat here, then you don’t think twice, then it’s a beat. It is what it is, because they know their fields. You’re a director, you’re directing and driving on the road to be sure you’re all heading to the same destination, but you’re not there to do their jobs, you’re there to be sure they’re able to do their jobs to the highest level and you can capitalize on their skill sets. Lynn: It really does come down to collaboration, and what you just said there – that’s exactly why this show has been on the air for 13 seasons and stayed so high quality. Richard: So I was utilizing Jensen’s expertise as an actor and a director, and Jared’s too. One thing that was really cool about that fight scene, it’s definitely the biggest fight scene I’ve had, period. 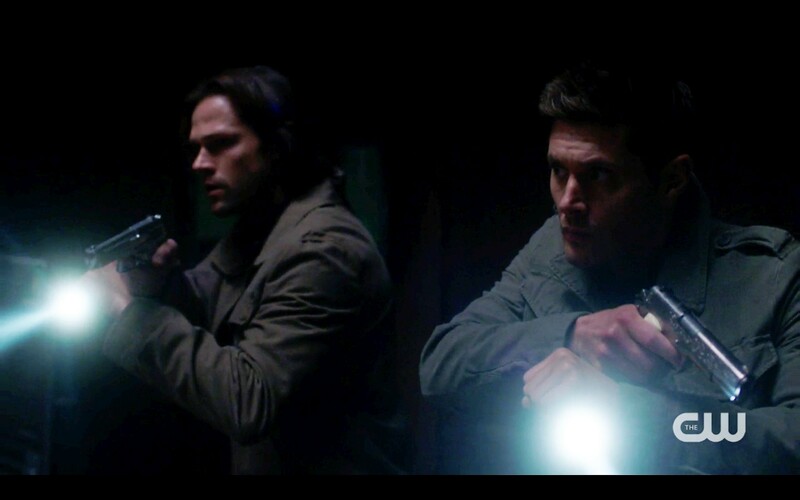 It’s also the biggest fight scene I’ve had with Jared and Jensen, with Sam and Dean. And it was really great to watch how they came about it, because it’s kinda my first experience dealing with this, because it was so big. 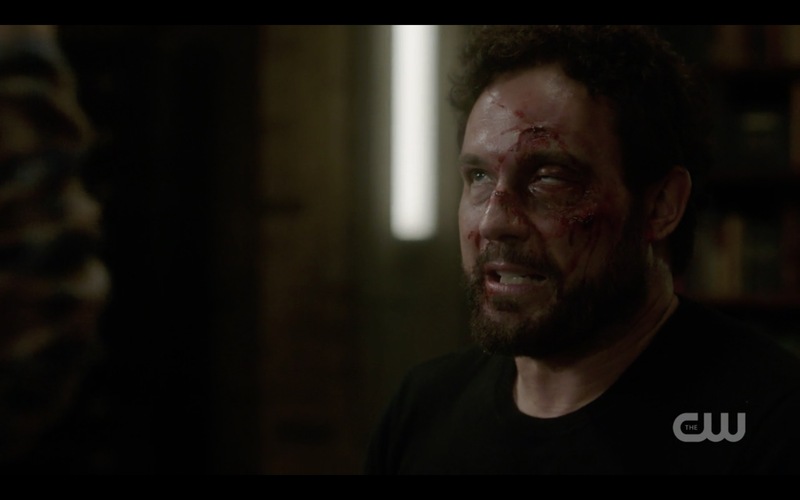 Richard: We had guys dropping from the ceiling, we had enormous compartmentalized fights, tied together by bodies being thrown, there was a lot of stuff. 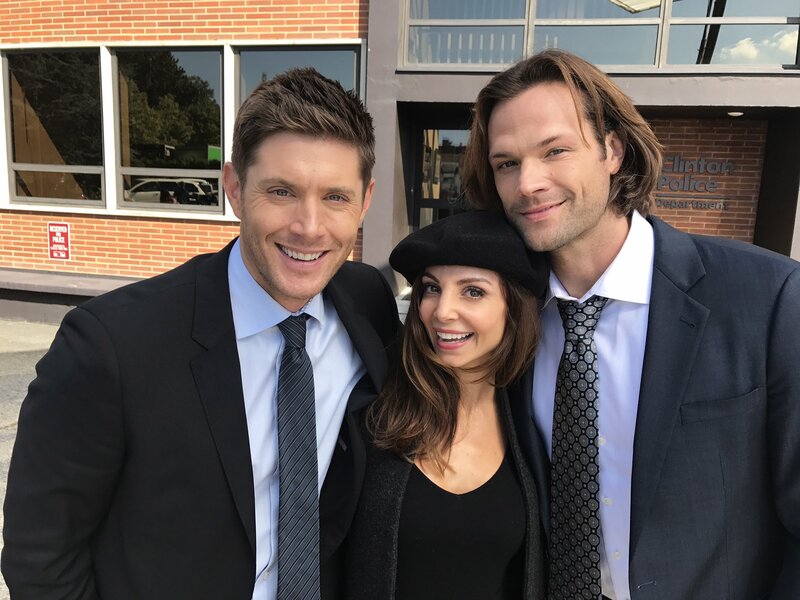 And Jared and Jensen came in, they watched the ballet, the stunt people had it down pat and did it, and then those guys – who are practically stunt men themselves at this point – take it apart, and not in a negative way. They go ‘that’s awesome that’s awesome that’s awesome, but I feel like Sam would blah blah blah’. 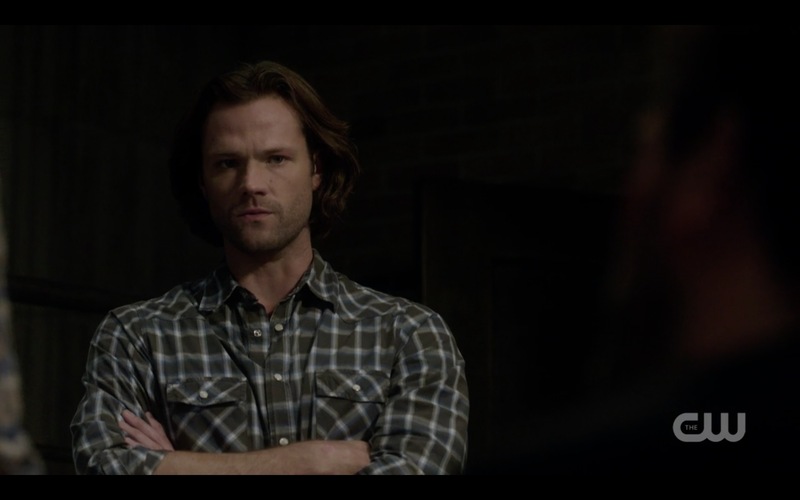 And you go, ‘okay, Rob Hayter, Sam would handle the fight differently, he has a history of fighting this way’. Rob is new too, he’s got to learn these characters too. And so Rob and his team go ‘okay great, we adjust, great’. 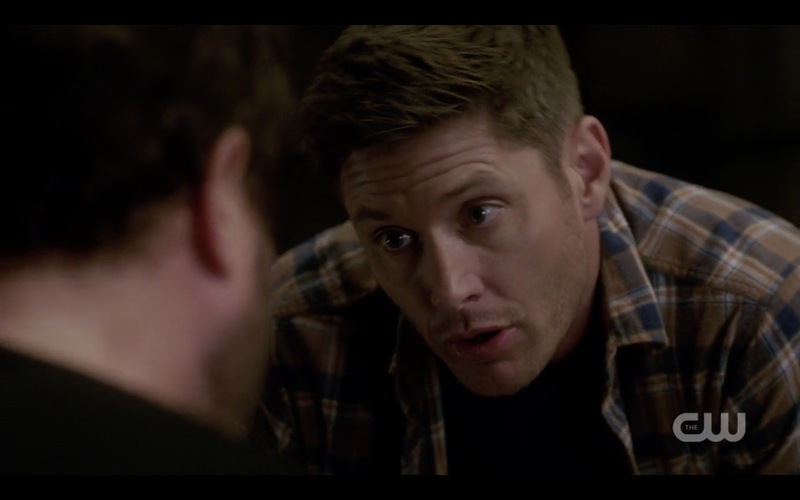 And Dean, Jensen, is like ‘I think this beat needs to resonate more’, and again, great, fix fix fix. It also gives him a chance to see Ketch fight, and he draws the line of ‘I’ve seen your moves’ so he’s got to see them in order to say that. Richard: No one would go oh, I missed that thing, because no one would know it would ever have existed. But when you take the time and energy to get down to the minutiae of what it should be and do it correctly, it adds layers upon layers to a rock solid foundation, which is what makes a show bigger than the show itself. We’re making the show better than it needs to be. Lynn: YES! That’s exactly it – whenever I try to explain to someone what makes this show special, that’s really so much of it. Everyone – directors, actors, crew – everyone cares enough to do exactly that, to make it better than it needs to be. Richard: Yeah, you can aim for the bar, and you’ll stay on TV because you’ve got the audience, you’ve got the momentum. But those guys? And their team, and the directors, myself included, still want it to be the best it can be. Still want to do more. Lynn: I feel like you all put in the extra effort to make it this good, to make it above the bar, which is insane after 13 years. All the lead actors care about it so much even after all this time. Richard: Yes! 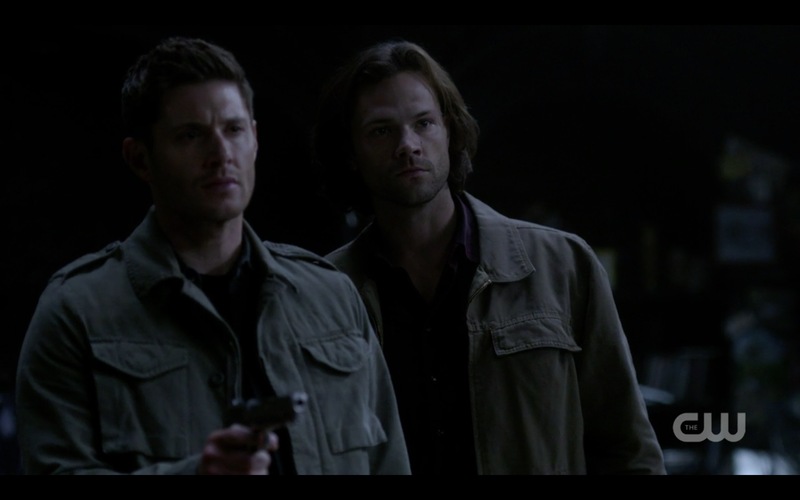 So watching Jared and Jensen parse out what they think their characters need to do slightly differently in the fight – and it was very minor stuff, but minor in execution, major in impact – it was just really cool to be a part of that. That was one of the things where I was like, I don’t know how we’re gonna kill this elephant but we’re gonna do it. And by the end of the day, I was like sonofabitch I think we’ve got a really cool sequence here. Lynn: You totally did, incredibly cool. Richard: I mean, I was watching the monitors – there is story and energy and action and heart in this fight scene. Lynn: All wrapped up in one scene! And it’s not unusual, it’s not just me – the way people watch this show and what we care about, that moment of Dean seeing Sam in trouble was probably two seconds long, but for me that small moment, that extended beat, that’s what tells me that these are the characters I know and love. That’s how Dean would react, that’s how Sam would react. It’s those little things and their willingness to keep putting those things in there that makes this my favorite show, and everyone’s willingness to do that. Richard: One of my favorite beats of that whole fight is those guys dropping from the ceiling, I loved that. Lynn: It was epic. So how did it feel to direct this time – you seem to have made an evolution, it seems to me having known you for a long time, to have made an evolution to director. I know it’s something you’ve wanted to do for a long time, but it seems like you’re thinking like a director, looking at the world like a director. Do you feel that evolution? Richard: 100%. 100%. It’s an interesting thing, when you’ve wanted to do something for a long time and have thought about doing something for a long time and have done it on your own the best way you can for a long time, when you get the shot to do it for real. You’re obviously shitting bricks and you’re obviously nervous because it’s a different animal. It’s an 800 pound gorilla, it’s a cruise ship, it’s no longer your little dinghy in the water by yourself with your own oars. You’ve got a lot of people and a lot of energy and a lot of eyeballs on what you’re doing. What I’ve found is that I get off on the talent. Lynn: Yeah, you’re not daunted. Richard: And I said, I’m well aware. But that’s where the rubber meets the road. You either collapse on that and go I’m screwed, my day is shot, because I lost both Osric and Christian, who played Michael, I lost them at the end of the day. It wasn’t like I could move a scene to the next day, that was it. I had a day to do all this, that’s it. Richard: So that was my day and I just sat there at lunch and re-blocked scenes to be simpler and reorganized scenes to be different because I’m not sorry about how I shot that teaser, it had to be serviced. Lynn: Well, it worked. So you didn’t feel like bowing under the pressure? Richard: I felt the pressure, I just didn’t feel like bowing to it. You don’t want to put yourself in that pickle, nobody wants to be on that side of it saying I’m boned here. Lynn: And that was in the very beginning too. Richard: Mm hmm. But at the same time I’m starting to trust my skill set that when that happens I can direct myself out of the hole. That’s your big fear at the start, like if it rains or something happens, can I direct myself out of this mess or am I gonna panic? Lynn: So you’re building up a self efficacy around directing. Richard: Yes, I’m absolutely 100% a novice, a newbie, a freshman. Four episodes does not a veteran director make, not even close. As my directing agent said, she has brand new directors who have 15 episodes under their belt. Lynn: Still considered brand new. Richard: It’s like flying, you have to have a lot of hours under your belt, two flights doesn’t make you a pilot. You need a lot of hours before somebody wants you taking the jumbo jet across the ocean. Richard: So I’m not at all trying to express any over confidence or that I feel relaxed or comfortable. I feel nervous about the episode I’m gonna direct the second they send me the script or even the idea. I’m nervous about directing episode 20 and I have no idea what the story is. Lynn: You haven’t even seen anything yet? Richard: No, I have no idea, but I know it’s gonna be another set of challenges that will put me in the black hole of directing, which is what Phil calls it. And it is, where I’m literally an awful husband and father during that time because I’m so focused on how to build this puzzle. Richard: Yeah, it is, but I also get off on that. I dig it. I like that challenge, I like sitting in the editing room and seeing the pieces come together and going sonofabitch, it worked! Lynn: It must be tremendously satisfying to watch an episode like that and see that all those disparate pieces did come together. Because I’m pretty picky about the show, it’s not like I always watch it and go oh wow that’s great, and I don’t always like the episodes where a ton happens, my default episode really is Sam and Dean talking about their emotions over the hood of the Impala, so that should feel good. Lynn: Is it really just the luck of the draw? Richard: Yep. You’re assigned a number and then someone breaks the story and then there you are. It’s an arranged marriage where you’re totally blindfolded, or a blind date, whatever. Lynn: Wow that’s crazy, you could get anything. Richard: It’s not an accident that the heavy hitters close out the season finales. Lynn: But it says something that you’re doing two episodes this season. Richard: I did two last season as well, I did the straw dolls one [Twigs and Twine and Tasha Barnes] and Stuck In The Middle. I have a special place in my heart for all four of them to various degrees, there’s something about each of them that’s very special to me because I get so married to them during the process. Lynn: Was it different working with all the cast now that you’ve directed a few times? Because I’m seeing an evolution in you as a director – I’ve talked to Jared and Jensen about this, how it was kinda weird when you first stepped into this other role, was it weird for you? Richard: I’ll give them credit, I think they always gave me that respect. Here’s the greatest compliment I’ve gotten from them, is that we can disagree about stuff. Lynn: That is a definite compliment, actually. Richard: They do not tiptoe around my feelings. We’re buddies but we’re coworkers. I’m there to do a job, and they’re there to do a job. And it’s their house and I’m a guest, and so when I come in with ideas, they’re not afraid to voice their opinion and we’re not afraid to – not argue, they’re always incredibly polite nice guys – but they’re not worried about my feelings. I’m there to do a job and they assume that I’m doing my best work and they never assume I’m not doing my best work. So we can have creative discussions and we can have debate about something in a creative cool way. Lynn: That’s exactly what true collaboration sounds like, right? It’s not oh okay, it’s let’s talk about this. Richard: It’s not like those guys come down on me hard, because it’s the exact opposite, they’re very supportive. But put it this way – I think I get the treatment anybody else who directs gets, which is how I want to be treated. Lynn: You get treated like a director. Richard: Yeah. I think they have the same discussions with a stranger who comes in to direct or with Phil, and I like being that. I feel like they’re not afraid to disagree with me and they’re also not afraid to embrace what I’m doing. They take both sides, and I think the fact that we can have that kind of creative dialogue about various sequences and they’re open to my ideas and they feel very comfortable expressing strongly when they feel things should push a different way, to me that’s a great place to be. Lynn: Absolutely, it’s respect – mutual respect. Richard: Yeah, so I feel like they’re comfortable when I come on set, and you can ask them, but I don’t think they feel like ‘oh Speight’s directing, our buddy Speight’. I think they go ‘oh, this is a Speight episode’ just like this is an Amanda Tapping episode or a Nina episode or a Phil or Bob episode. Lynn: That’s what I think now, but I think the first time it was a little different. Richard: Of course! But now I think it’s not. Lynn: That’s the impression I get from them too. Richard: That’s what I gather from our relationship on set now. Lynn: Okay, I think that’s everything I wanted to ask you. Anything else you want to say? Richard: I’m trying to think, is there anything I haven’t said? I think when I watch that episode, I think that it’s expertly color corrected and lit and Serge just does a ridiculous job, you just go I don’t know how he pulled it off. I love the performances of Misha and Mark together, I think it’s just fantastic. 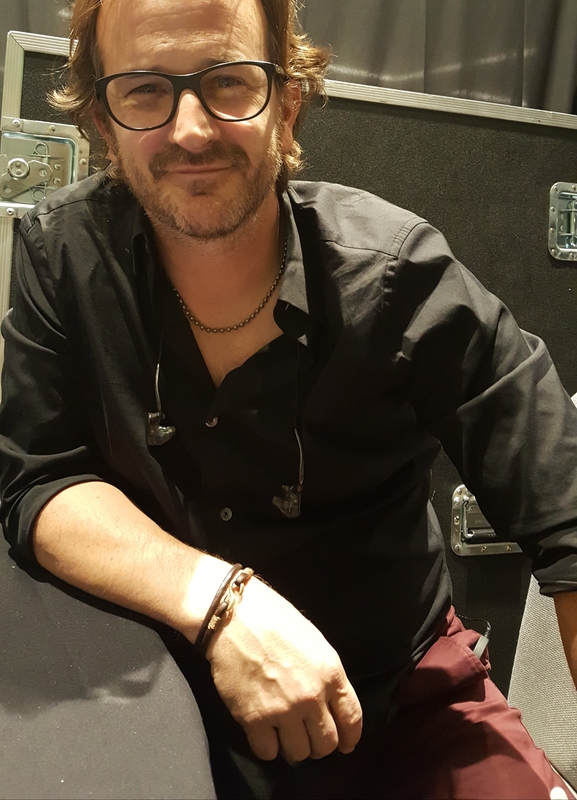 Tweet @josemanzano – w Richard Speight Jr and co.
Lynn: (suddenly realizing I forgot to ask one of my most important questions…) Oh, I didn’t ask about Osric! He played Kevin, but not Kevin. A very different character, but still recognizable as Kevin, which I think must be hard to pull off. Richard: And that’s an Andrew Dabb and Eugenie and Bob conversation that we had. They had a very specific vision of what they wanted parallel universe-alternate universe Kevin to be like, like meth Kevin. Lynn: Yes, like tweaked out Kevin! 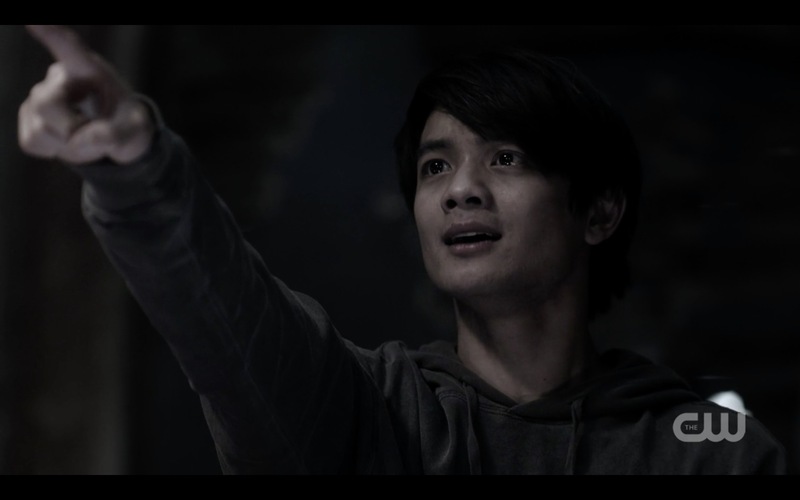 Richard: And Osric was totally dialed in and very pliable. He had a specific plan, and I was able to give him some notes, and he connected with those notes and that’s what you see onscreen. Lynn: He did a great job and so did you – we were excited to have a beloved character and actor back, and yet it was clear that wasn’t “our” Kevin. Richard: Yeah. I dug what he did and I really enjoyed working with him. You never know if working with your friends is gonna be a good thing or a bad thing, especially in a new capacity. There’s Jared and Jensen and Rich, but there’s also Misha and Rich, and Mark Pellegrino and Rich, and Osric and Rich. Lynn: You worked with so many people in this episode who you already know from cons but now you got to direct – David Haydn-Jones too. Richard: David only knows me as a director, he just started doing cons. I directed him previously so I met him as a director, we have a different backstory. But Mark Sheppard, Mark Pellegrino, Jared and Jensen, Misha, Osric, these are guys I’ve come up the road with as an actor in a different context. Lynn: And now it’s switched. Richard: And you never know if that’s going to be a bumpy transition, but it’s been nothing but seamless and awesome. They’ve been incredibly welcoming and it’s given me the freedom and comfort to feel like I can bring my ideas to the table. They’re always willing listeners, and it’s made for just a great experience. Lynn: And it really shows in the episode. 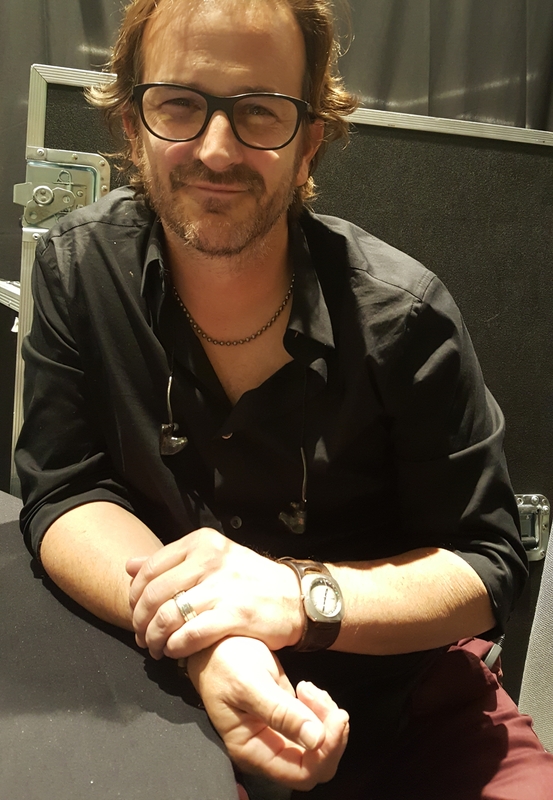 I’m looking forward to Richard returning to Vancouver to direct Episode 20 in March – and also looking forward to his first solo album that Jason Manns recently announced was in the works! Before we wrapped up and headed home, I asked him what he could say about that project now in its beginning stages. Richard: Jason and I have decided to team up and record some tunes. I’m looking forward to exploring that further and seeing – and hearing! – what we come up with and how it all shakes out. Stay tuned for more on Richard’s album as the process of making it goes on, and the return of Supernatural with Wayward Sisters on January 18! check out our books at the top of the page! Absolutely. The moments where this happens are the ones that make us happy, and stick around. Reblogged this on SUPERNATURAL AND OTHER SHOWS. Fangasm and Speight, together again! Thanks for another great interview. I am always intrigued by the details of what goes on BTS and it was fascinating to hear Richard discuss his process of directing and the collaborative nature of his work. BuzzFeed includes FDEWB in their list of books that will change your life!